Lane End Linney at Lane End in Putford, near Bideford, Devon sleeps 4 people. Lane End near Bideford is the perfect choice for a family holiday or couples needing a relaxing escape at any time of year. Lane End Linney and Lane End Loft are two beautifully presented, ground and first floor apartments, ideally located in the little North Devon village of Putford, close to Bideford and the glorious North Devon coast. Tucked away in a courtyard behind the owners home, The Linney is the ground floor apartment of the beautiful barn conversion and benefits from two en-suite bedrooms. Lane End Loft sits above this and is perfect for a couple, with a spacious studio living area, bedroom area and balcony where you can enjoy a lazy breakfast while you plan your day. Nearby Bideford has restaurants and town amenities along with boat trips to Lundy Island, or hire a bike and explore the nearby Tarka Trail. RHS Rosemoor Gardens, Docton Mill and Hartland Abbey are well worth a visit along with many pretty fishing villages to explore including nearby Instow and Appledore. The famous surfing beaches at Westward Ho! and Bude are nearby. For family fun, visit the delightfully quirky Gnome Reserve and Wildflower Garden or enjoy a great day of watersports at the North Devon Wake Park or fun for the young, and the young at heart at The Big Sheep and Milky Way Adventure Parks. The beach is 8 miles from Lane End near Bideford. With the shop, pub and restaurant 3 miles from Lane End. Lane End Linney (ref UK10656) can be booked together with Lane End Loft (ref UK10657 [Lane End Loft]) to sleep up to 6 people. Lane End Linney is all on the ground floor. Bedroom 1: With super king-size bed, beams and en-suite with shower over bath, toilet and heated towel rail. Bedroom 2: With double bed and en-suite with double shower cubicle and toilet. Initial fuel for wood burner included. Small garden with sitting-out area and garden furniture. Both properties: Oil central heating, electricity, bed linen, towels and Wi-Fi included. Travel cot and highchair available on request. Welcome pack. 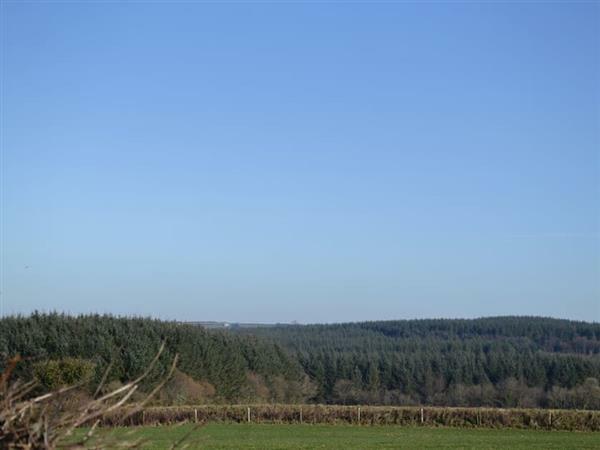 2-acre natural grounds with woodland (shared with owners and other properties on-site). Bike store. Private parking for 2 cars. No smoking. Please note: These properties have a natural water supply from a bore hole. There are 2 steps in the garden and 2 unfenced ponds 20 yards away. Holidays at Lane End Linney, Lane End run from Friday to Friday. For a better idea of where Lane End - Lane End Linney is, you can see Lane End - Lane End Linney on the map below. Lane End - Lane End Linney is in Devon; should you be on the lookout for a special offer, you can find all the special offers in Devon. It's always worth checking to see what is on offer at the moment. Do you want to holiday near Lane End - Lane End Linney (UK10656), you can see other cottages within 25 miles of Lane End - Lane End Linney; have a look to find your perfect holiday location.